Followed a link from Momus' compendious site to this fascinating thread on Nabokov's Pale Fire as a precursor of hypertext (and hence also of blogs). Pale Fire is one of my favourite novels, and, for those who haven't read it, it’s an hilarious, hyserical book, less a conventional narrative than a kind of beguiling textual labyrinth. The entire book poses as a scholarly reading of a poem, 'Pale Fire', by the fictional American poet, John Shade. (The poem is presented in its entirety, preceded by a foreword, and succeeded by a lengthy commentary and index.) The commentator is one Charles Kinbote (who may or may not also be a Russian called Botkin). Kinbote's 'reading' of Shade's poem is a kind of delirial appropriation: he insists that 'Pale Fire' is in fact an allegory about none other than Kinbote himself. Even more fantastically, Kinbote claims that he is the exiled monarch of a kingdom called Zembla. 1 that Kinbote ... is telling the truth and nothing but the truth: John Shade's poem 'Pale Fire' really is an allusive and heavily camouflaged biography of Kinbote himself, who is secretly none other than Charles the Beloved, exiled King of Zembla. 2 that Kinbote really is the exiled King of Zembla ... but that he is deluded in believing that Shade's poem in any way reflects the events of his own life. 4 that everything - Zembla and its king, John Shade and his poem - have been concocted by someone else who is neither Shade nor Kinbote/Botkin. By whom, then? 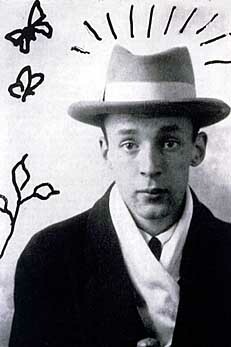 Well, by Vladimir Nabokov at one level, it goes without saying, but ought we perhaps to reconstruct some intermediary who stands between the biographical Nabokov and the substance of Pale Fire, or is there insufficient warrant for this? Nabokov's genius lies in keeping all four of these options alive. Kinbote is a classic unreliable narrator whose account Nabokov subtly undercuts but never fully undermines. The gaps and ludicrous rationalizations in Kinbote's account are enough to radically question his credibility (there are some wonderful scenes in which it is clear to the readers, if not to Kinbote himself, that Shade is exasperated by him to the point of white-hot rage). What's interesting about the take on Nabokov in Designobserver is that it tries to see Pale Fire as a work of design. The author has trouble elaborating upon precisely what he means by this, but my take on it would be that Pale Fire is a kind of Escheresque puzzle . (McHale draws upon Douglas Hofstadter’s Godel, Escher, Bach, which makes connections between the abstract machines at work in mathematics, art and music). Like any puzzle, the fascination lies in its construction. As for the connections with hypertext, I’m less convinced. I'm a little suspicious of attempts to find the 'roots' of hypertext in the print medium. Such exercises end up presupposing a continuity when it is almost certainly more productive to look for breaks. Hypertext becomes re-embedded into a lineage going back at least as far as Sterne's Tristram Shandy. Yet this ignores the form of the reading matter itself. While certain books may gesture towards rhizomatic connectivity, the physical form of the book imposes a certain linearity on the reading experience. Hypertext – or better, hyperlinking – has no such limitations. With the internet, the very notion of ‘a’ hypertext, a hypertext ‘object’, quickly becomes unsustainable. Rather than being addenda to a free-standing texts, links constitute a plexing technology which don’t so much absorb and integrate outside texts so much as they erase the boundaries between one text and another. There is nothing inside the text. Any ‘text’ is a series of outsides. Hyperlink fiction remains something that I suspect is massively underdeveloped. There are enormous opportunities to genuinely move beyond linearity in narrative and structure. I should add that I’m by no means an expert. I’ve only dipped my toe into this area, ( Geoff Ryman's 253 is one of the most celebrated examples of a hyperlink fiction, and one of the most successful I’ve encountered).The chief ‘problem’ with hyperlink fiction is the delivery system. The book is actually an extremely well-designed technology: easily portable and accessible. Reading off a screen, by contrast, is frustrating and cumbersome (though it’s something us bloggers are getting increasingly used to, I suppose, and something that broadband is making a less pressured experience).